"What does it feel like being Taiwanese? 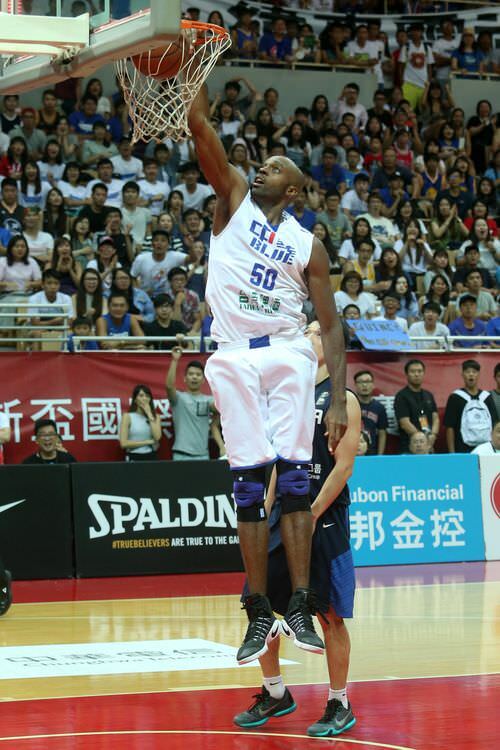 It feels likes being human," American-born Taiwanese basketball star Quincy Davis told CNA. 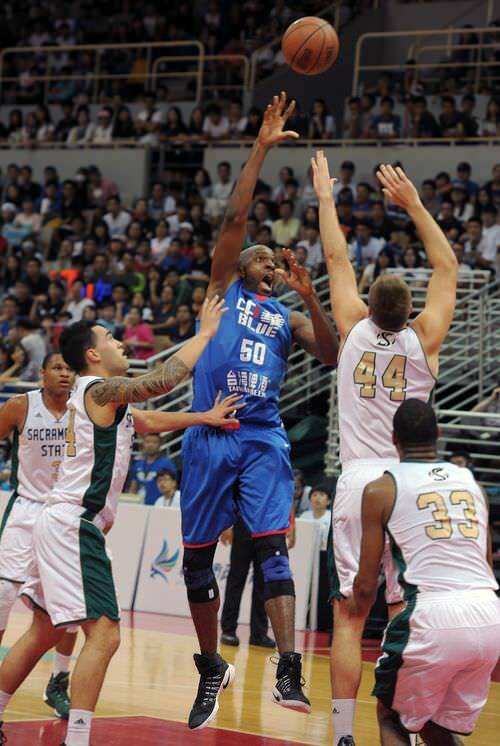 Davis first came to Taiwan in 2011 to play in the local Super Basketball League (SBL). After helping his team clinch its first championship title in 2012 and being named Most Valuable Player, the 203-centimeter player was given the chance to join Taiwan's national team. The offer prompted him to renounce his U.S. citizenship and obtain Republic of China citizenship in 2013. 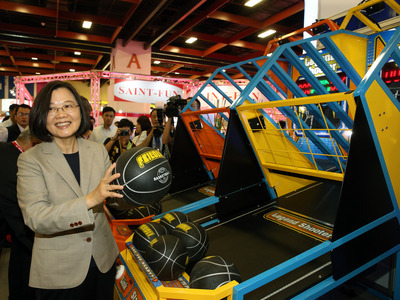 He has since become a household name in Taiwan, playing a major role in lifting the international competitiveness of Taiwanese basketball, including some surprising victories over stronger and taller opponents, including China. After spending seven years in Taiwan, five of them as a Taiwanese citizen, Davis told CNA in a March 9 interview how it feels to be Taiwanese from the point of view of a former foreigner. "Taiwan has really given me a sense of how the whole world should be," he said. For instance, the country has the best healthcare system. Taipei has a perfect, punctual MRT system, and more importantly, stable public security, Davis said, many of which he had not experienced in the U.S.
"To be able to see a doctor within 15 minutes, in America that doesn't happen. Maybe if you get shot or stabbed," he said. But most importantly, Taiwanese people treat others according to their individual characteristics, while people in many places in the world judge a person by the color of his or her skin, according to Davis. As a black American, many things he now does in Taiwan on a regular basis would be unimaginable for him in the States, Davis said. "The things I do now -- riding my Ubike around the city, going to 7-11 at three in the morning, those are things many black Americans cannot do in America." "Just being able to live a life where I don't have to look over my shoulder all the time to check if there are cops or anybody trying to hurt me. Those are the things I enjoy that I don't take for granted." Davis continued that the simple fact that one cannot buy guns at Costco or Carrefour in Taiwan is a huge difference from the U.S.
"Imagine what Taiwan would be like if they sold guns at Carrefour, 7-11, RT Mart. If somebody gets angry, into road rage, or kids get bullied, they can just go purchase a gun. That's what we have in America." Aside from playing basketball, Davis also travels around the country to inspire children or simply to enjoy the beautiful island. He recently posted several photos on his Instagram account showing him traveling around remote mountainous areas in Taoyuan and New Taipei on a scooter during the Lunar New Year holiday. These trips are meant for him to really embrace the culture instead of just playing basketball, and to "really become Taiwanese." "Riding a scooter as a way of transportation, that's a way of life here," he noted. Due to his genuine and deep affection for his new country, however, the athlete was recently embroiled in an incident that left him caught between fans on the two sides of the Taiwan Strait. 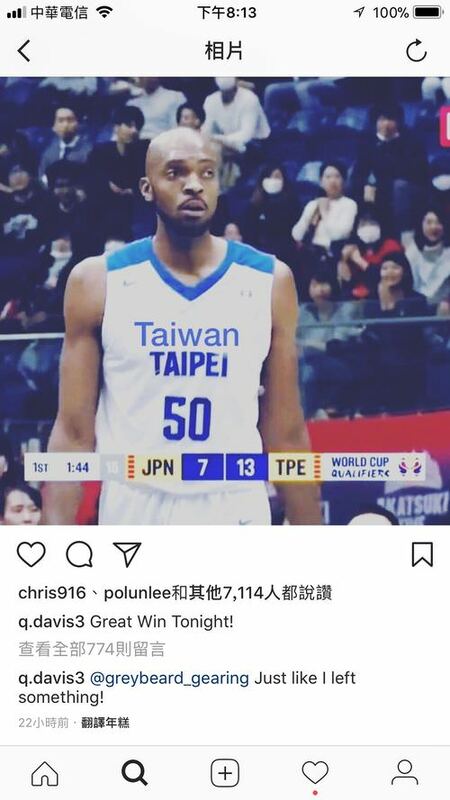 After a narrow win over Japan in a International Basketball Federation (FIBA) World Cup Asian Zone qualifier Feb. 22, Davis did some photoshop work on a photo showing him wearing his Chinese Taipei jersey, drawing both praise and ire from fans on the two sides of the Taiwan Strait. He later posted the photograph, which was edited to read "Taiwan Taipei" instead of "Chinese Taipei" -- the name Taiwan uses in almost all major international competitions due to Beijing's pressure -- on Instagram. Many Taiwanese praised Davis, as they were moved by his patriotism. However, he drew strong reactions from Chinese netizens, who said he should be penalized for bringing politics into sports. Commenting on the incident, Davis said he did not know about the "Chinese Taipei" name Taiwan uses at first until it later struck him that all Taiwanese athletes have to wear these uniforms. "Why don't we just wear 'Taiwan?'" After the all-important close game against Japan, he said, a lot of people congratulated him on his performance -- 12 points, 11 rebounds and six assists. "They sent me the photo, and the only thing I could see was 'Chinese Taipei.' So I just did a little Photoshop and said now that looks better." Davis said he knew there was a lot of negative feedback, but also a lot of positive feedback. "To the negative feedback, I just want to say that it was not a direct attack on China or anybody else. The whole purpose behind the photo was that we are not anti-China, we are just pro-Taiwan." The photo also shows that when he gets on the court it is all for the country he loves. With the clock ticking -- the 35-year-old center has been plagued with injuries over the years -- Davis said he is not sure how long he will continue to play. But he said he will definitely stick around after his retirement to inspire the younger generation of Taiwanese as a way of giving back for the generosity he has received in Taiwan. Davis said that since 2016, he has worked with an English cram school organizing a summer camp, during which he spent two weeks in his hometown of Los Angeles with a group of local children aged between 12 and 16. "I would take the kids around in LA, help them learn the language, get them out of their comfort zone, away from their parents," he noted. This is a short term project, and his ultimate goal is to establish a private school in Taiwan that will offer all kinds of courses taught in English. In his school, the official school work will conclude at 3:00 p.m. to make room for children to choose for themselves what they want to do. "Taiwanese kids study too hard," he said. Davis concluded by encouraging the younger generation of Taiwanese to leave their comfort zones and travel abroad to see the world to gain a better appreciation of their own country.